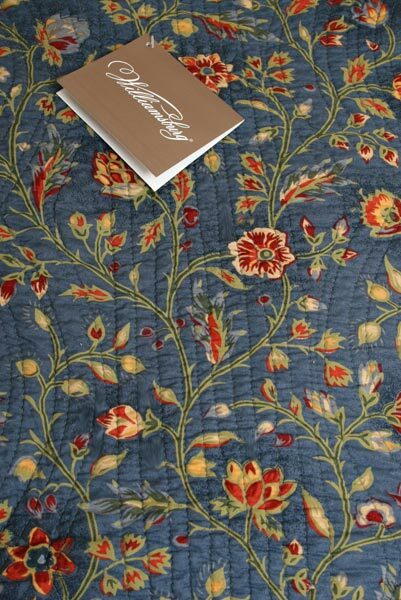 The Wakefield is a a beautiful Colonial quilt in Staffordshire blue with Terra Cotta florals and heavy quilting from the Williamsburg Collection. 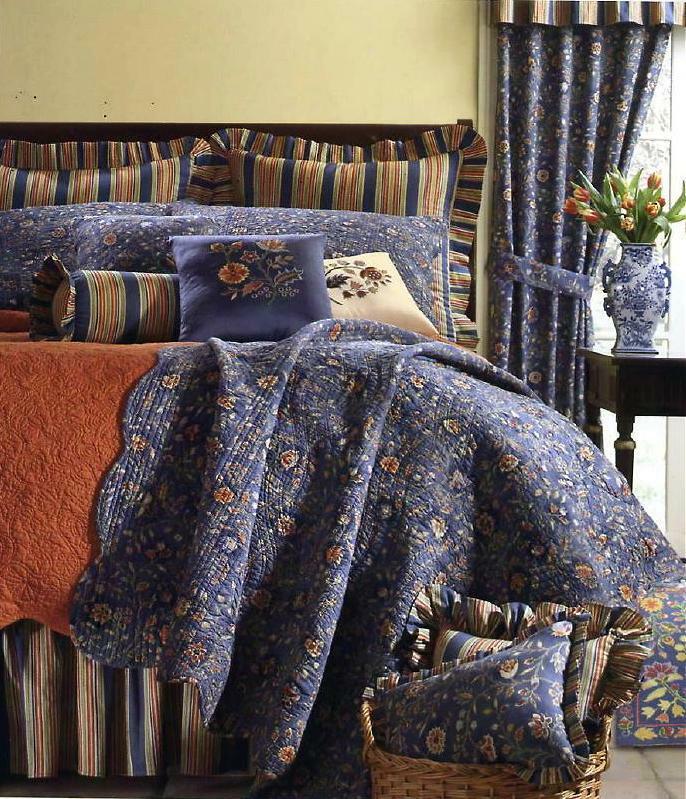 An indigo floral quilt whose beauty resonates with today's casually elegant style. The all-cotton, scalloped edge quilt reverses to a classic stripe of red, blue, green and a soft gold. The finest quality, this quilt will surely become a family heirloom.